Carvin's Cove Stables is located in scenic Shenandoah, Virginia (near Elkton and Harrisonburg). 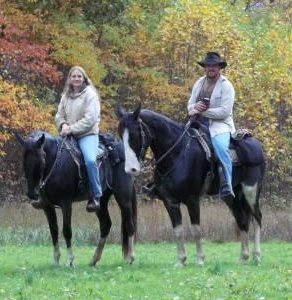 We specialize in locating and selling naturally gaited (flat shod), sound, sane, trail savvy gaited horses with beauty and style. We have horses for sale for all ages and rider skill levels. If we don't have exactly what you are looking for, we can find it. We pride ourselves in our ability to select and fine tune only the best candidates. We carefully select a few horses to complete our trail training program. We make note of each horse's strengths and weaknesses to better allow us to match them with their perfect rider and fine tune them to bring out the best in each horse. 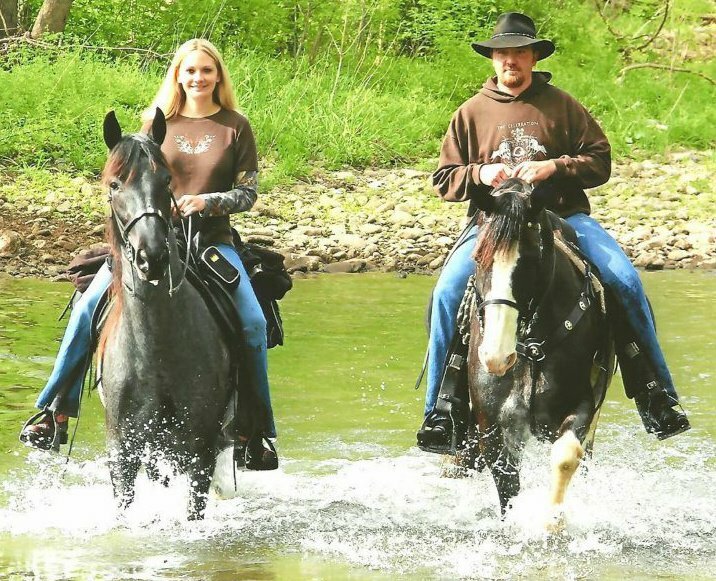 All of our horses have been trail ridden extensively, and some have even been shown successfully, BEFORE we put them up for sale. They will all cross water, logs, be dog and traffic safe, and much much more. By doing this, we can ensure that you are getting exactly what we say you're getting. We can honestly tell you what the horse will and won't do and help you best determine if he or she is the horse for you! Unless otherwise disclosed, our horses are SOUND and DRUG FREE! We believe in being honest with each and every customer because we believe in matching each horse and rider rather than just making a sale. Our reputation is how we've built our client base and what allows us to do what we love - find great homes for great horses! We encourage every perspective buyer to come and test ride the horse they are interested in. Take him or her on a trail or road ride and really get to know the horse before buying it. We will also sell to sight unseen buyers, and always do our best to let the new owner know all about the horse so there are no surprises when you get it home, and if there are surprises, they will be pleasant ones. We offer consignment and sale services for private individuals who need to sell their horse, but don't have the ability or time to market them properly. Selling horses is a time consuming endeavor which requires the ability to honestly assess each horse, provide photographs and videos to potential buyers, meet with potential buyers to show the horse and identify good matches, meet with the veterinarian for pre-purchase exams, and more! We have many references from satisfied customers and will be glad to share them! Our repeat buyers and referrals are the backbone of our business. © 2013-present Carvin's Cove Stables. Site design and maintenance by Stephanie Langston.